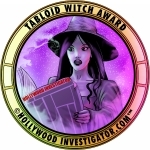 [HollywoodInvestigator.com] "True ghost-hunter" films are horror's newest mini-cycle -- The Feed, Spirit Stalkers, The Legend of the 5ive. 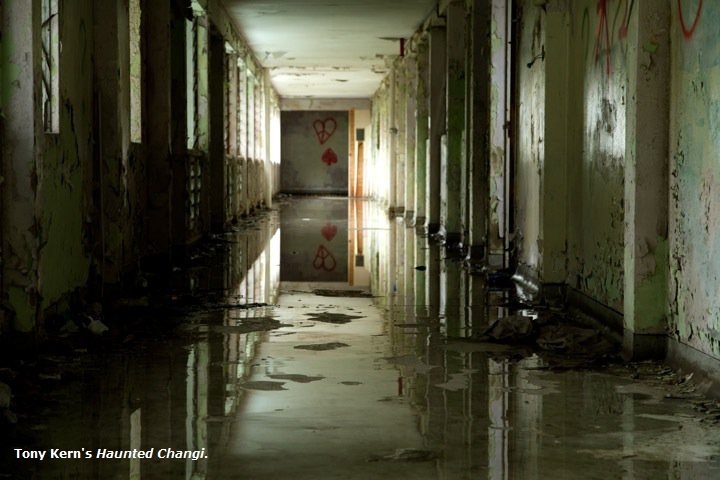 But perhaps the first was 2010's Haunted Changi, in which some luckless filmmakers shoot a documentary in SIngapore's abandoned -- and reputedly haunted -- Changi hospital, inviting some ghost-hunters to assist their exploration. (Much like the filmmakers shooting a documentary of the ghost-hunters in The Legend of the 5ive). Most of these films employ the "found footage" style (Spirit Stalkers being the exception), making them part of that larger cycle sparked by The Blair Witch Project, and later re-energized by the less innovative and more Paranormal Activity. "I had an idea for a found footage film in the mid-1990s before Blair Witch, " said Haunted Changi writer/director, Tony Kern, to the Hollywood Investigator. "Probably not unlike lots of other young filmmakers at the time. My story was of kids entering a haunted hotel, their home movie footage being the film. My 'distribution plan' was to go to Blockbusters, swap my VHS copies with copies of real movies, and let the hoax begin. Not a great business plan. "I never did it. I never had the money. After Blair Witch I struggled with myself for years not to do a found footage film. I feared that if I did so, I wouldn't be taken seriously as director of a 'real' film. Then Paranormal Activity's success meant this subgenre was here to stay. It's a way of telling a story that works well for horror. I'm surprised it hasn't been used more for other genres. It will be. "Yes, because I made a found footage film, people do question whether I can make a real film. But by 2009 I was planning my first narrative feature -- Afterimages -- and I didn't care. (It helped that during Haunted Changi's release, I was comfortable not taking credit for it -- the US distributor and iTunes has Andrew Lau as director.) So I did Haunted Changi to test the market here in Singapore before doing Afterimages. 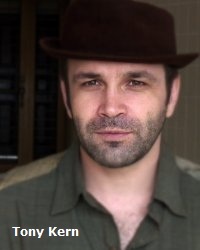 Kern had left Los Angeles for Singapore in July 2006 to research that city's Hungry Ghost Festival. His documentary of it, A Month of Hungry Ghosts, was released in 2008. "It was very well received critically in Singapore. During its press shoot I was introduced to Old Changi Hospital and fell in love with it. I am very fond of old creepy locations. A year later I shot Haunted Changi." "Old Changi Hospital is an actual location," says Kern. "It was a huge spot for local legend trippers from the mid-1990s to 2011, when it was fenced off by the government after we finished filming. 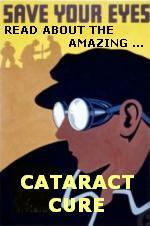 All the history as portrayed in the film is true, as far as I know. The building was used by the invading Imperial Army of Japan, because it sits on top of a hill and commands a great vantage point. Today the Singapore government owns and leases it out." When Kern first tried to rent the hospital for his location, the government refused, because of his film's supernatural content. "The government has a huge hangup about the 'supernatural.' The land authority is constantly forbidding us to use land, set aside for film production, on any 'supernatural' productions. We can shoot a romantic comedy in a scary, dilapidated old building -- but no ghost stories! But Kern lucked into a legal loophole. "The government told us that since the property was currently being leased by someone else [an Indonesian company who had quit its plan of turning the hospital into a spa], if we got their permission before they returned the property to the government, then we could film there. I think they were confident there was no way I could get permission, and assemble a cast and crew, and shoot in the 2 weeks before the tenancy expired. "We had a huge stroke of luck. My producer accidentally met the Indonesian company's boss. He agreed to let us shoot. In December of 2009, I scrambled for a cast and crew, and we shot the film over two weekends. We caught the hospital as it will never be again. When it was returned to the government, the building was completely gutted and sanitized." "Well, business here can be ... tricky. I shot the movie. They decided to play games. Big surprise, right? So I started editing on my own while building the online campaign. After the film was mostly completed, we found investors who were friends with one of the producers, which helped with the coloring, sound mix, 35mm prints, etc." Kern says that Haunted Changi's found footage formula suffered much backlash in Singapore. "One newspaper said that we faked someone's death, the film was not real -- and even rounded up local filmmakers to say it was distastefully cheating people's feelings. By the time of the film's release, a large online community of haters -- who had never seen the movie -- felt it was their duty to inform everyone, on every blog, that the movie was not real. If only I had online supporters so rabid! "Yet I was pleased when, during its release, people flocked to Facebook to ask whether it was real. One of my favorite posts was: 'If he really died at the end, I give this movie 5 out of 5 stars. If it's fake, I give it only 4.' The number of people saying they liked the movie more if the death was real was astounding." When Americans think of Asian horror, they usually think of Japan -- J-horror. Singapore, not so much. "There doesn't seem to be a cohesive community/fan base of horror films in Singapore," says Kern. "A couple of local horror films are released each year, with low to moderate success." Many Singapore horror films incorporate comedy. "They refer to them as horromedy. Can't say I'm a big fan. I prefer straight horror or comedy, not a mix. "Non-horror filmmakers and critics have a dismissive attitude toward horror. It's just growing pains. Local filmmakers, critics, and the government want Singapore films to be successful internationally, but local films tend to be for local audiences and don't travel well. There are capable directors here who could potentially make an international film, but local distributors target the audience's lowest common denominator, creating a vicious cycle. Happily for American fans who hate subtitles, Haunted Changi is in English. Even so, the DVD offers English subtitles, because the actors' accents can be hard to follow! "English is the main language in Singapore," says Kern, "but sometimes the accent and mix of dialects creates what is known here as Singlish. It can be difficult for international audiences. The population is Chinese, Malay, and Indian. Those languages are also spoken, but English is the default language shared by all. "I made the film in English because I don't speak other languages. I also hoped to attract a more international audience. Mixed reviews on the accents, however. Unfamiliar accents can be difficult for audiences. They get frustrated or don't respect the characters because the accent sounds too foreign. I was hoping the accent would be interesting to international audiences, but some people don't like it. "We actually had difficulty getting distribution support for Haunted Changi before the film screened because most local films are produced in Chinese. We were told no one would want to see it here." That ended up not being so. The film ran in cinemas for five weeks. 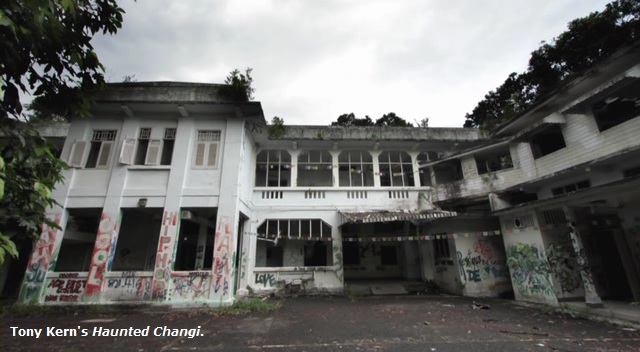 Haunted Changi was shot on a Canon 7D with HD video at 24p. "With the DSLR, I figured the picture quality would be okay for cinemas, especially for the found footage." "I'm unable to say what the budget was. It was low in regards to most theatrical releases, but it was high enough that the film did not break even. But that's mainly because we have been ripped off by most distributors we've dealt with. I don't mean financial discrepancies or disagreements. I mean, in some cases, the distributors here have simply taken all the money and left us with nothing. "The Singapore DVD distributor took everything. We received not a single dollar for a DVD that sold out its first run in two weeks. (I should point out, the Singapore cinemas did not cheat us.) I have yet to get a sales report from my U.S. DVD distributor, or any other document they are supposed to give me. I'm not holding my breath. We've all heard the stories of independent distribution. This one is no different. "As for all other territories -- Singapore now included -- there is no official distribution. It's all pirated. I would hear stories of the film surfacing in places before the DVD was even out. Never having used bit torrent myself, I was totally caught off guard by the speed and extent of piracy online. I've got my nose to the grindstone for a year or so working on a film, I produce something, I look up and there it is! Already out there. I expected the business side to be difficult -- but I totally underestimated the factor of piracy. I know it sounds completely naive. Kern submitted Haunted Changi to only a few horror film festivals. "I was conscious of the impending found footage glut, so I wasn't proactive. It played at Freakshow and Bram Stoker International. That might be it. Kern is currently self-distributing Haunted Changi and A Month of Hungry Ghosts through Amazon's CreateSpace. He is a "self-taught filmmaker" with a liberal arts degree. In the1990s he worked for AOL Time Warner, before moving to Singapore. He can be reached through email.